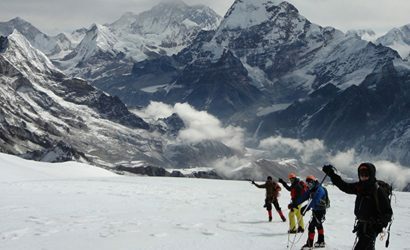 Panchase Trek is one the most famous, easy, and relaxing trekking trails in the Annapurna region in western Nepal. 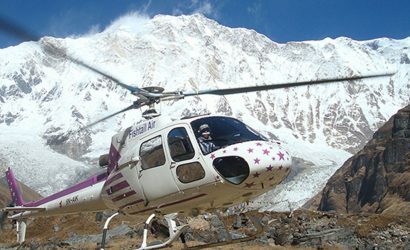 Panchase, being the highest hill in the region, offers a spectacular view of the Annapurna and Dhaulagiri massifs along with other snowy peaks which appear even more majestic with the sunrise and sunset colors that transform the view of the mountains. The trek also features a cultural exploration of the Gurung ethnics that dominate the Annapurna region. This trek is suitable for all age groups as the trail is easy and simple. Panchase Trek is a short trek taking you to the outskirts of Pokhara, allowing you to be in the lap of nature. Starting from Pokhara, a short boat ride across Phewa Lake takes you to World Peace Pagoda (also known as Shanti Stupa), from where an amazing view of the mountains as well as a stunning panorama of Pokhara valley can be seen. The trek forward takes you through many Gurung villages allowing you to get an insight of the Gurung culture, tradition, and lifestyle. The lush green vegetation from subtropical to temperate forest all over Panchase provides shelter to a wide variety of flora and fauna. The trek mostly goes through forests of rhododendron that come live with the constant chirping of various birds. The top of Panchase Hill provides one of the most spectacular views of sunrise and sunset over the gorgeous mountain peaks that can be seen from around Pokhara. 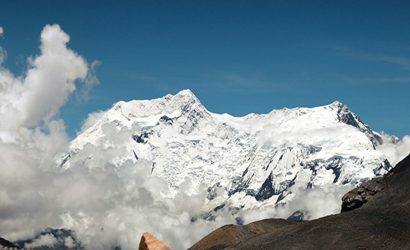 Panoramic view of Annapurna South (7219m), Hiunchuli (6441m), and Machhapuchhre (6997m) along with an overall serene environment. 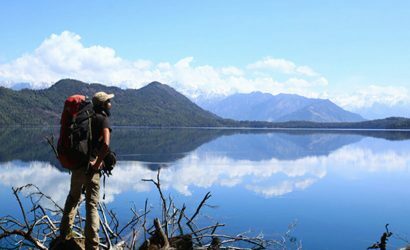 This trek is perfect for those who want to connect with the locals and want to be amid nature without having to make strenuous efforts. Day 01: Pokhara-Bhumdi 1600m. 5-6 hours. The we boat cross the Fewa Lake and then climb through the forest will take you up to the steps leading to World Peace Pagoda. Being an impressive sight in itself, from this amazing point, you also get fabulous views of the Annapurna massif and Machhapuchhre (6997m) along with an unobstructed view of Phewa Lake and Pokhara city lying below. After a chance to wander around this truly peaceable stupa, you carry on trekking downhill through the forest on narrow walking tracks, before climbing back up to join a trail snaking around the hill, which will take you to Nehyeaal Danda. Then you will steadily ascend to Bhumdi, which is a Gurung village hosting spectacular views of Annapurna South (7219m) and Machhapuchhre (6997m). Overnight in Bhumdi. Day 02: Bhumdi-Panchase Bhanjyang (2000m) 5-6 hours. After a little climb to really wake you up, the path continues through the gorgeous forest where you can witness mountains glancing from between the trees. Today is a great day for nature lovers, as the path winds amid miscellaneous trees and you can hear the birds above; you may even catch a sight of a monkey. Emerging from the trees briefly at Thulunchaur, you then continue under the cover of the forest until the trail leads you on a dirt road. You then gradually climb uphill to reach Panchase Bhanjyang, from where you can get panoramic sights of the mountains such as Annapurna South (7219m), Hiunchuli (6441m), and Machhapuchhre (6997m). Similar to last night’s stop, this village is home to Gurung and Brahman people. Overnight in Panchase Bhanjyang. Day 03: Panchase Bhanjyang-Panchase Top (1700m)-Pokhara 3-4 hours. This early morning, you ascent the stone steps up to Panchase Peak (2517m), the highest point of the trek. 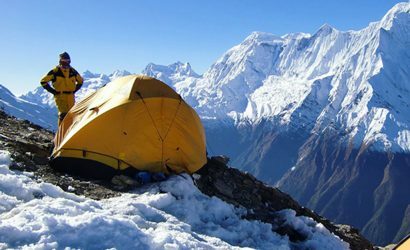 From here, you will again be pleased with spectacular views of the mountains including the various peaks of Dhaulagiri and Annapurna ranges, and there is also the option of getting up extra early to ascend for sunrise. After enjoying the sunrise views , you slope down the far side of the hill to Kudbidanda. This afternoon entails of a moderate walk down the ridge with extraordinary views of the mountains above and the villages below till Bhadaure. From Bhadaure we drive to Pokhara. Overnight in Pokhara. Day 10 : Pokhara-Kathmandu. Drive or fly and over night at hotel. Three meals day (breakfast, lunch and dinner) during the trek. Guest house accommodation during the trek (mainly in twin sharing). A local government licensed English speaking Guide during the trek. Porter to carry your luggage ()1 porter for 2 trekkers. 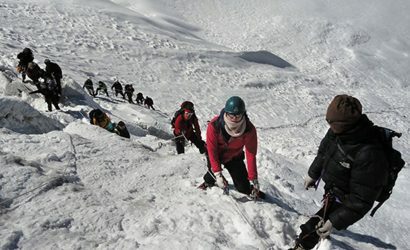 Food, accommodation, salary, insurance, equipment, medicine and transportation for all trekking staff.